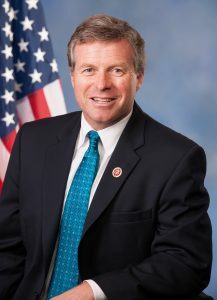 Congressman Charlie Dent (R-Lehigh) is reportedly considering leaving office early to begin a new career, sparking off another special election in Pennsylvania. “Dent, who has already said he will not seek re-election next year, confirmed he has had conversations with TV news executives about becoming an analyst, raising the possibility that he would leave his seat early and create yet another special election for his party,” the New York Times reported. “I have no definitive plans,” Dent said. The move would set off another special election ahead of the 2018 general election. It has been rumored among Republican and conservative activists that Dent would resign early since he announced he would not be running for re-election. If a special election were triggered, the candidates for both parties would be decided through processes dictated by the respective party bylaws. For Republicans, the county chairs would choose conferees from within their county to vote on the nominee. Some conservative activists have said this would be a way for Dent to choose his own successor. On the Democratic side, the county committees from within the district would meet to vote on a nominee who would then be approved by the state party’s executive committee. A special election would likely increase already strong tensions in the district between the more moderate Republicans who have supported Dent, and the more conservative Trump supporters who have pushed against Dent, including holding an anti-Dent event earlier this year. Dent won the district in 2016 by 20 points, while Trump won the district by eight. This is EXACTLY how Bud Shuster handed his seat off to his son Bill. It shouldn’t be allowed. a special could be done to coincide with Primary, so no cost. The same should have been done with the Murphy seat. That’s what happened in the 2nd CD when Fattah was found guilty and resigned his seat in June. The special was the same day as the general election. I would think finishing out the term would be honorable and the least selfish action. Leaving early speaks for itself in terms of integrity. “Dent won the district in 2016 by 20 points, while Trump won the district by eight.” That’s only because Lehigh Valley Democrats vote for Dent. They know he’s really one of them. And, if the party wants to put a Democrat in the seat, they’ll allow Dent to chose his own successor. 2) work out an agreement with Gov and Legislature to time his resignation so the “special” election can be held during the May primary. Wolf sets the Special Election date. All he has to do is make it the May Primary. He could have done that with the Murphy seat as well. No need to work out any agreements. The Governor controls the date. This would be a huge mistake on Charlie’s part. Hard to believe he’ll actually do this, but who knows anymore. Specials cost money. So much for fiscal responsibility! Hate to hear Charlie Dent’s reasonable voice disappear. We need Republicans that can think outside party lines. This tax vote further increases inequality in America. While former middle class workers are now earning minimum wage or less and Seniors living on SS since 2008 fiasco, the R-Party is awarding the rich with lower personal and corporate taxes. we know it doesn’t trickle down. Are they rushing it to please Trump and party. Can’t they slow down and think for themselves.